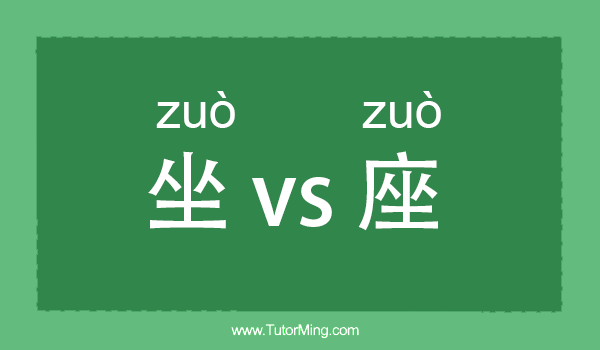 There are also other Chinese characters that share the pronunciation “zuò.” The other two most commonly used characters are 坐 and 座, which are sometimes misused as well. However, differentiating between these two is a lot simpler. 你的座位在那里 (Nǐ de zuò wèi zài nà lǐ): Your seat is over there. “座位” shows the place is intended as a seat.